I've been trying for the last 30 minutes. Not fun being as I set my alarm for 5:50am to get up to play this. On the plus side, glad it's global and not just the world ignoring Australia. I also just hit level 8 on squid jump!?!? 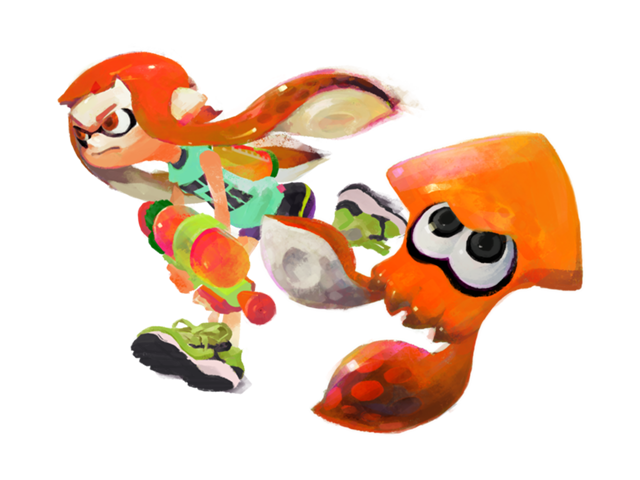 This is secretly a global test fire for Squid Jump. I hope launch looks less like this and more like the first three beta tests. You know, I'll be annoyed if this is Nintendo's fault. I'm gonna have to chocobo if this is some jackass hacker group doing a DDOS. I bet you're thinking of the amiibo global test fires. Well, the global misfire is really unfortunate, but I'm still in. Guess we'll see how it goes in a week. I'm sad this was my first exposure to the title. If this was 'it', I don't think I'd be all that excited by the launch. However, the community's enthusiasm, and GamerParent's Twitch still has he excited. Plus I have the the peak of Amiibos to get excited about, so roll on next weekend I say! We're in too! Seem to be mostly playing against Japanese players. If there's lag I can't tell. Formally extended for an extra hour, so you've got half an hour left to play! ...and I read that message 45 minutes later. Neat game, I liked it but I just could not get my brain wrapped around tilting the gamepad to aim. It kind of killed the experience for me and my youngest son. My oldest was all gung ho to buy it too but after repeatedly getting killed by paint rollers he was a bit soured as well. LockandLoad, you can turn motion controls off after the tutorial. Took me a while to realize too! I actually like the tilt to look up and down. I'm not a mouse and keyboard FPS player though, so that might have some bearing on my acceptance of the control mechanism. What I played of the tutorial I enjoyed. First thing I had looked for. Even if the servers had some issues this weekend, at least there's single player content that shouldn't rely at all on the multiplayer servers to enjoy on launch weekend. So it's not like your game will be worthless until Nintendo can figure out the server situation. Exactly. My primary use will be Dojo for my kids to play against each other in 1 on 1 local, and I'm going to be 'charged' with doing the single player to 'unlock stuff' for them. 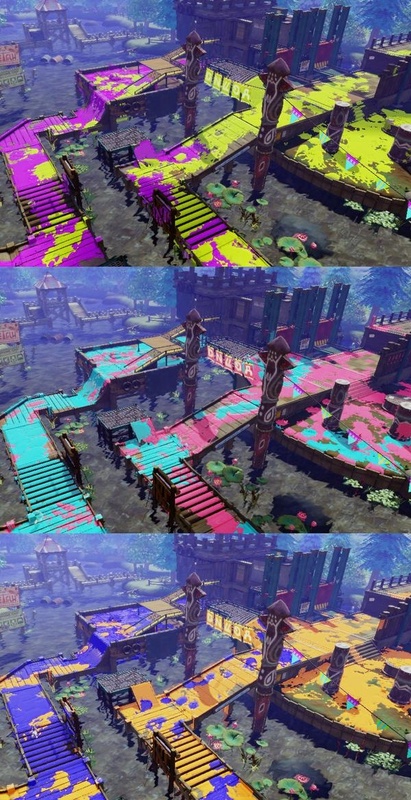 I think the online will become awesome once we get some Goodjer's online, and we just have a blast splatting each other. From what GamerParent said up thread, it will passively 'group you' with friends from the start, but the official "make a team, and charge" won't happen until the code is dropped in later DLC. So, who's getting digital, and who's going retail? I heard the EU market is getting a 10% discount on the eShop version if you downloaded the demo. Any news on other regions? Is that enough to temp you? Have you seen any bricks and mortar prices that best that deal? I have it preordered digitally and am just waiting to pre-load. I'm paying full price and don't have any concerns about that. I'm leaning to Physical only because it's the first of a brand-new Nintendo IP. I could be swayed to digital though, because it certainly feels like a game I'm going to want to just up and play at random times. Convenience factor... Dilemma! I'm feeding the Gamestop "exclusive pre-order content" problem. If only I wasn't such a Smash Bros fanboy [sigh] ;). I just had my impulse purchase negated by economic rationalism. The eShop has it for AU$71.95 until the 04-06-15 if you downloaded the demo. My impulse for digital has been offset by the perceived $20 I can put towards my Amiibo three pack. Plus, I'm guessing I'll be using all that hard drive space for the FreeDLC coming soon. Damn it, now that I've thought it out, I am still no closer to making an effing decision. I'll be positively shocked if the actual launch goes smoothly. Mp focused games always have a rough launch, it's Murphy's Law 101 for online gaming. Smash 3DS had a rough patch for the first week or two I think right? I think I'm less concerned about a smooth launch these days. It's not like I don't have other things I can play if the matchmaking servers catch fire the first weekend. As long as we're talking what version we're getting and potential savings, this will be the first game I get with Best Buy's gamer club membership. $30 and for two years you get 20% off new games, or so they claim. It saved me some cash when buying amiibos, so if it does work I'll be getting Splatoon for $48 plus tax instead of $60. I might make a thread for it after I get the game and absolutely confirm it works. I imagine a lot of folks here would want to take advantage of gamers club if it drops new games down s drastically. I'm not worried either. I think I might in the minority of gamers, buying an online multiplayer title for single player and 1vs1 couch co-op. Awright, so I missed the demos because reasons but am really interested in this. However, I'm finally getting some much-needed vacation over the next few weeks. Thoughts on what the multiplayer scene looks like a month down the road? Are we looking at TF2-esque everyone's still on the same playing field or more CoD-esque everyone's already leveled up 40 times and the newb scene is a barren wasteland? I hope the former, because Nintendo, but I just watched the 30-minute Nintendo Direct and it seemed more level-dependent than I would have thought, gear-wise.